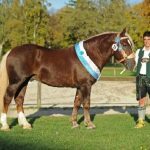 The South German Coldblood is a breed of South German horses that has a very close genetic relation with the Noriker horse breed. These draft horses are the commonest of all the four main German draughts. Though they had been used for carrying packs and artilleries in mountainous regions in the past, at present they are primarily seen at shows and parades, and sometimes in agricultural works as well. 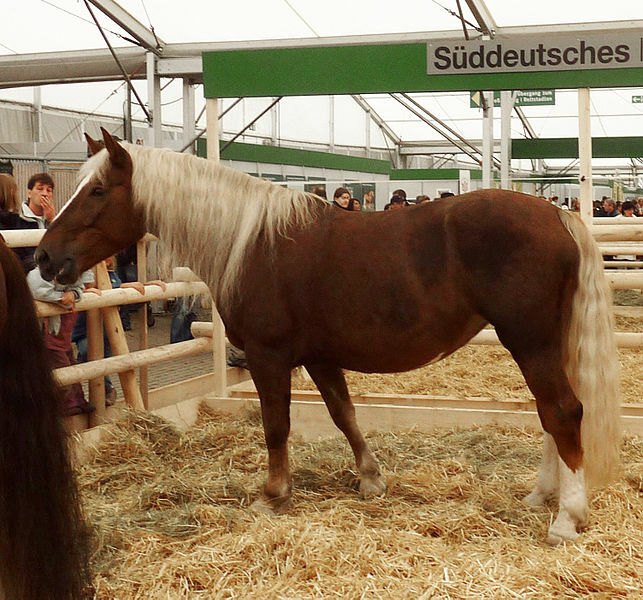 In Germany, these horses have been used in improving and creating other equine breeds. 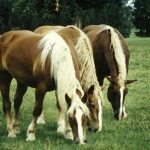 Feeding/Diet Normal horse foods including hay, grass, grains, etc. 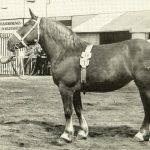 The South German Coldblood Horse is a descendent of the Austrian Noriker horses that were introduced to South Germany’s Bavaria towards the end of the 19th century. Both the breeds are even regarded as single entity, though the Norikers are slightly taller than them. 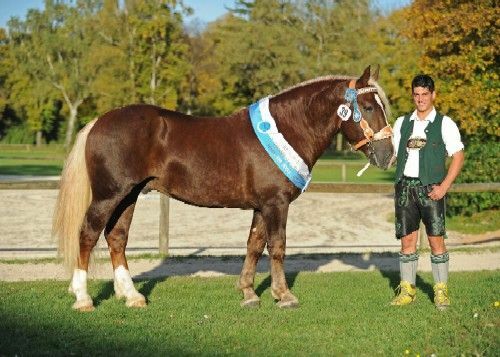 The horse breeders from Upper Bavaria started to add the bloods of the Oldenburg and the Holstein breeds to their stock, since they wanted to create a different breed holding their own trademark. Analysis of the DNA has revealed that, the South Germans are genetically much distant from the other German draught breeds and have distinct differences from the Carinthian Noriker and the Salzburg horses. Researchers have opined that, these differences are mainly due to the influences of the warmblood and the Thoroughbreds on them. 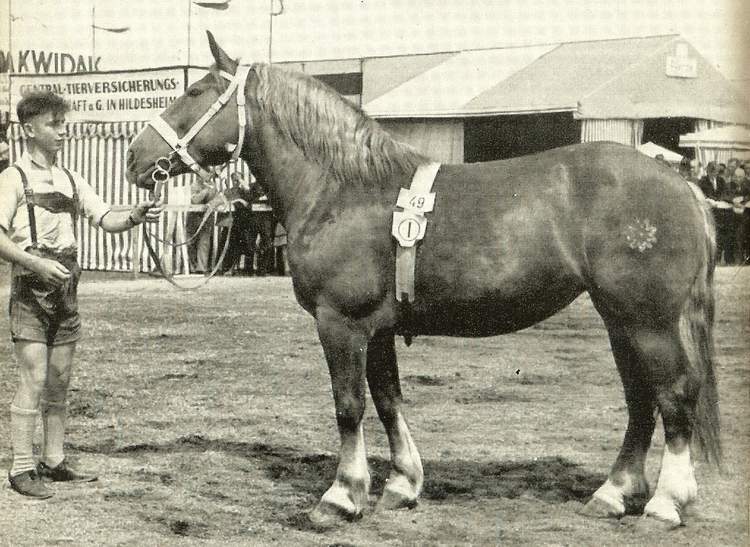 The South German Coldbloods had later been crossed with the other breeds like Cleveland Bay, Hungarian, Norman, Oldenburg, Holstein, and Clydesdale as well, resulting into a much agile and quicker draft horse with a few levels of refinement. Since this infusion, however, the South German coldbloods have been purely bred since 1880. In 1948, the present German name ‘Süddeutsches Kaltblut’ was officially adopted. After a few decades of dedicated breeding programs, the population of these equines became stable since 1997, with a count of 2113 heads. Presently, the South German Coldbloods are mainly bred in Bavaria and Baden Wurtemburg. They are spread across the upper parts of Bavaria, and the forest region close to the border of Czechoslovakia called the Bayerische Wald. These horses are vulnerable to some breed specific osteological diseases like ‘osteochondrosis’ and ‘osteochondritis dissecans’. Instances in the fillies are more than that in the colts, especially those that are one year old or above. 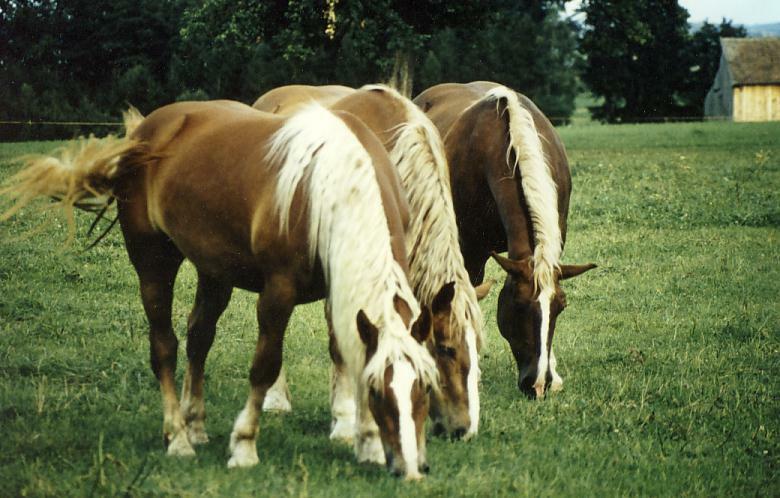 The 2013 population report counted 1921 mares and 129 stallions, totaling to 2050 heads. This breed is one of the few equines that display leopard (‘tiger’) spotting, very much like the Noriker horse. 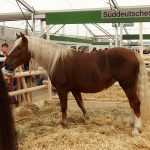 This is the only breed, out of the four main breeds of German draught horses (with the other three being the Schleswig Coldblood, the Black Forest Horse, and the Rhenish German Coldblood), that has not been marked as endangered.